The Pet Shop Boys initially had a tough time getting its career on track. Yet, it refused to be deterred by its lack of forward progress. Spurred by the success of West End Girls in the New York City and Los Angeles markets, the Pet Shop Boys, which serves as an outlet for Neil Tennant and Chris Lowe, regrouped behind the major-label funding of EMI. A new version of the song was used as a vehicle for launching Please, the band’s full-length debut. Because it fit so neatly into the 1980s music scene, West End Girls became an enormous international hit. Nevertheless, it is highly doubtful that anyone truly expected the Pet Shop Boys to have the type of staying power that it has enjoyed over the years. For a time, the ensemble drifted off the radar of mainstream America, though Tennant and Lowe managed to carve out a comfortable living crafting material for the dance club circuit. On its latest outing Yes, the Pet Shop Boys focused its attention on reclaiming its pop stardom without forsaking either its intellectual ideals or its visceral grooves. The collective’s gambit appears to have worked, too. 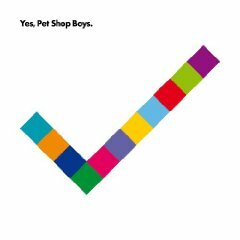 Yes is the Pet Shop Boys’ biggest effort since 1996’s Bilingual. Still led by Tennant and Lowe, the group will perform a wealth of material from the effort as well as its older hits when it stops at the Chicago Theatre on September 14 and Milwaukee’s Pabst Theater on September 15. Sondre Lerche is only 26-years-old. Nevertheless, his debut Faces Down made him a darling of the indie-pop circuit, while his 2006 endeavor Duper Sessions allowed him to conquer the world of contemporary jazz. For his next trick, Lerche parlayed the time he spent supporting Elvis Costello into the power pop of Phantom Punch, which led to a gig crafting the soundtrack for Peter Hedges’ film Dan in Real Life. Based upon the title tune to his latest endeavor Heartbeat Radio, which was issued just a few days ago, Lerche has returned to the rich, symphonic textures of his sophomore set Two Way Monologue. To draw attention to the outing, Lerche is in the midst of a solo electric tour, which will stop at Schuba’s for a pair of shows on September 19. Earlier this year, Bruce Springsteen hit the road in earnest to promote the release of his latest endeavor Working on a Dream. The outing received a mixed reaction from fans and critics alike, but for the most part, Springsteen has continued to plow forward with his crowd-pleasing performances. His concerts have featured a mixture of old and new material, and the segment during which audience members are invited to try to stump the venerable E Street Band has proven to be wildly popular among his fans. For his latest trek to Chicago, Springsteen is planning to follow a slightly different approach. The 35th anniversary of Born to Run may be almost a year away. Nevertheless, he is planning to perform the outing in its entirety when he and the E Street Band settle into the United Center on September 20. Considering that later this month he is preparing to mark the closing of Giants Stadium with a five-night engagement at the longstanding sports and entertainment venue, it’s likely that he has a few other tricks tucked up his sleeve, too. For those keeping track, Springsteen will be back in the region for a show at Milwaukee’s Bradley Center on November 15. Phoenix might seem like it achieved instantaneous success, but the outfit quietly has been toiling away for over a decade. It’s safe to say, however, that this has been Phoenix’s year. 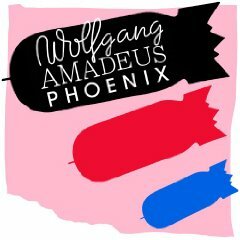 Released in the wake of the group’s appearance on Saturday Night Live in April, Wolfgang Amadeus Phoenix has received a wealth of attention and praise. In July, tickets for the ensemble’s concert at Park West sold out quickly, and demand for its show on September 23 has been so tremendous that, several weeks ago, it was moved from the Riviera Theatre to the Aragon Ballroom. It was a bold gesture for Phoenix to have dropped the names of a pair of renowned composers prominently into its new endeavor, but Mozart and Liszt cleverly serve as the yin and yang that eloquently tug at the group’s latest batch of compositions, holding them together. With its disco beats and instrumental passages, Wolfgang Amadeus Phoenix is filled not just with flash but also with substance. The only remaining question is whether Phoenix will build upon its momentum or slip away into the nighttime air.